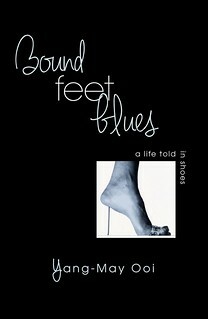 Writer/ Performer Yang-May Ooi shares an extract from her new book, Bound Feet Blues – A Life Told in Shoes. The manuscript has just been submitted to publisher Urbane Publications and will be available in bookshops and online in early November. I was very pleased at the weekend to be able to put the finishing touches to the manuscript of Bound Feet Blues, the book and to dispatch it to Matthew Smith, my publisher at Urbane Publications. 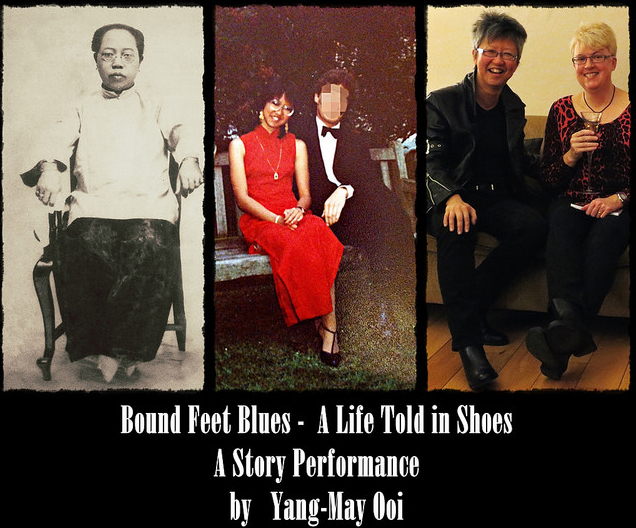 As I celebrated with some bubbly with my partner, I reflected on how taking of my shoes and going barefoot transformed the stage version of Bound Feet Blues from a long form style of storytelling into a dramatic performance.